Botulinum toxin injections, by their nature, can affect a patient's ability to express their emotions. When the injections temporarily paralyze muscles responsible for frown lines, for example, the patient no longer has those angry lines etched into their forehead every day. That can be a good thing when they want to stop looking permanently unhappy as they age. On the flipside, when that patient wants to actually express anger, they are less able to use those frown lines to show their emotions. 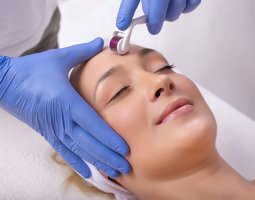 While modern drugs and techniques can help relax the look of frown lines without giving a patient a completely frozen look, there is a definite effect. None of this is surprising, but when researchers in Italy decided to delve a little deeper, they found that these muscle-relaxing injections had a far greater effect on emotion: the injections actually affected the patient's ability to understand emotions in others. The study began with Jenny Baumeister, a research scientist at the International School for Advanced Studies (SISSA) in Trieste, and colleagues wondering whether Botox injections could affect embodiment. Embodiment is the idea that to process facial expressions and other emotional information, humans mimic those expressions subconsciously. This begins in infancy as babies learn to understand the world around them, smiling as someone smiles at them. Psychologists believe this mimicry helps the brain understand facial expressions of others and the emotion associated with those expressions. The researchers began thinking about the popularity of Botox injections in Italy and what effect this could have on emotions there. With about 250,000 botulinum toxin treatments in 2014 in Italy alone, the researchers wanted to see if there would be any negative emotional side effects. For their study, the researchers recruited patients who were planning to have botulinum toxin injections along with a control group who would not receive the injections. The researchers performed tests to assess understanding of emotions, both immediately before the injections and two weeks after the Botox cosmetic injections. Measurements included both judgment about the emotion in question and reaction time to understand the emotion. When the injected study participants observed obvious facial expressions, such as a wide smile, they had a little more trouble understanding the emotion than the control group, or than themselves before the injections, but the difference was not significant. It seems that even after botulinum toxin injections, patients can still understand obvious emotions. However, when facial expressions became more subtle, things became more complicated for the injected group. These study participants were significantly less able to pick up on the emotional cues than the control group or than themselves before the treatment. This seems to enforce the idea that without the ability to mimic the facial expressions, these individuals were less able to pick up on emotional cues. This could be a problem, the study authors point out, when the cosmetically-injected patients have a conversation in their daily life. They may fail to pick up on a subtle shift in mood, causing a communication breakdown between themselves and their conversation partner. Doctors ensure their patients are aware of the side effects of botulinum toxin treatments, including common effects like needle pain or bruising and less common effects like the potential spread of the toxin's effect. The study authors suggest this is one more side effect to add to the list. Before undergoing these cosmetic injections, patients should be aware that the treatment could affect their ability to understand emotions, the researchers suggest. Although this is one study, there have been hints in the past that Botox injections can affect emotional processing. That makes it one more potential risk for patients to consider before choosing the wrinkle-fighting injections. Botox is a brand of botulinum toxin, along with alternatives such as Dysport, Bocouture, Xeomin, and Azzalure, and a slightly different form of botulinum toxin, Neurobloc. Made by Allergan, Botox is the most popular brand, becoming a household name for its cosmetic uses. These injectables are all made of botulinum toxin, a neurotoxin produced by Clostridium botulinum bacteria, best known for causing botulism. Although botulism can be deadly, shutting down the body's muscles gradually until the patient can no longer function, in small doses the toxin can be medically beneficial. Thanks to its ability to temporarily paralyze muscles, with effects usually lasting three or four months, Botox injections can target specific muscles that cause wrinkles. Certain types of wrinkles develop from a lifetime of facial expressions, giving patients a permanently angry look as they age and their frown lines deepen. Botox targets the muscles underlying these wrinkles, blocking the release of the chemical messenger acetylcholine so these muscles cease contracting. Without the ability to contract and crease the skin, the skin relaxes into a smoother position with less visible wrinkles. The effects gradually wear off, and the wrinkles gradually return, although with repeated botulinum toxin use the muscles may become relaxed more easily and the effects may last longer. Botulinum toxin started out as an ophthalmology drug, helping treat eye conditions such as strabismus, also known as crossed eyes. By relaxing muscles that may be pulling the eyes too strongly in one direction, these injections help relax the eyes to a more normal position. The injections work similarly in other disorders involving muscle spasms, including torticollis and cerebral palsy, helping to relax muscle pain and restore the affected body parts to a more normal position. Although Botox became a household name for its wrinkle-relaxing properties, many patients now request the drug to treat excessive sweating and chronic migraine. Researchers are continuing to investigate the medical benefits of botulinum toxin and its possible future uses. The Possible Side Effects: Is Botox Safe? Despite its association with a serious disease, Botox is, for the most part, safe to use. After millions of successful treatments around the world, the injections have become commonplace in clinics and medical spas. The most common Botox side effects are related to the injections themselves, including bruising and needle pain. However, there is the chance that botulinum toxin effects can spread to other muscles than the intended target, especially if the practitioner injects too much. This could cause flu-like symptoms and headaches or paralyze muscles involved in breathing, chewing, swallowing, and other essential bodily functions. That said, most patients complete their treatments without a hitch. Emotional side effects may be a less-obvious risk of the treatments. Botox and Mental Health: What is the Effect? It seems that botulinum toxin injections can have both good and bad effects on mental health. Research has suggested easing frown lines can help treated people feel less negative, and this can be reflected in those around them who perceive the treated person as more positive and friendly-looking. Some professionals, such as lawyers and business people, are also turning to botulinum toxin injections to help hide their emotions. After a treatment some are calling "protox", these professionals can appear more relaxed and professional with their emotions less evident on their face. This lack of emotion can help peers take these professionals more seriously, some believe. As positive as these effects may be, with other research suggesting patients may also have problems understanding emotions after a treatment, it seems the results of botulinum injections can be mixed. Moderation may be the key, with a subtle relaxing of wrinkles allowing patients to feel better about themselves without losing too much empathy and expression. For a wide selection of cosmetic injectables, medical devices, and other medical supplies, visit Medica Depot. If you are having trouble finding the medical product you are seeking, speak to one of our knowledgeable customer service representatives.